How do you become a NASA astronaut? One way is to get your undergrad in applied biology, then grab another in mechanical engineering, and add a master’s and doctorate in mechanical engineering just like Jan Davis. But that’s just the start. Davis joined Texaco as a petroleum engineer, but left two years later to join NASA as an aerospace engineer at the Marshall Space Flight Center, where her specialty was structural analysis. She worked on the Hubble Space Telescope and studied the long-term strength of pressure vessels due to the viscoelastic characteristics of filament-wound composites. That is a very fancy name for testing how much pressure it takes to blow up a garden hose… now that sounds like fun, doesn’t it? Davis excelled at just about everything, and in June 1987 she became an astronaut. 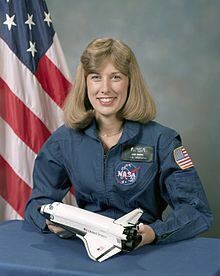 Her first job was providing tech support for Space shuttle payloads, and then she was put in charge of communicating with the crew for seven Space Shuttle missions. Eventually, NASA sent her to space on three flights, logging more than 673 hours away from the Earth. Afterwards, she was rewarded with directing the Human Exploration and Development of Space, which had to be the coolest job ever. Nowadays, you can find Davis working as vice president and deputy general manager at Jacobs Engineering Group, which could possibly be a cover name for the Space Aliens Investigations Group (SPAIG). I totally made that up, but you never know. Maynard is the daughter of a writer/journalist/English teacher father born in India to English missionaries and painter/English professor mother born in Saskatchewan to Jewish immigrants from Russia. Maynard attended Phillips Exeter Academy, where she won a slew of writing awards, and then went on to Yale. She got an article published in the New York Times Magazine as a freshman, which prompted a letter from the very famous and very 53-year-old J.D. Salinger, who warned her of the dangers of publicity (rather than the dangers of liaisons with older men). They exchanged letters, and in the style of The Graduate,18-year-old Maynard moved in with the famous author after her freshman year. Their eight-month romance produced Maynard’s first book, a memoir which did not include their tryst. That emerged in a 1998 memoir titled At Home in the World. The same year, she put up for auction the letters penned to her by Salinger. Showing the ultimate class, software developer Peter Norton bought them for $156,500… and promptly returned them to Salinger. Maynard has continued writing, including a weekly syndicated column “Domestic Affairs” during her marriage to Steve Brethel. After that ended in 1989, she moved with their three children to New Hampshire. Her works include several novels, of which Labor Day was made into a movie. In 2010, Maynard adopted two girls from Ethiopia, then a year later told family and friends she could no longer care for them and sent them to a family in Wyoming. In July 2013 Maynard married attorney Jim Barringer, who died three years later. Maybe you’ve met him at a Fedcon convention, or perhaps a Sci-Fi Expo? 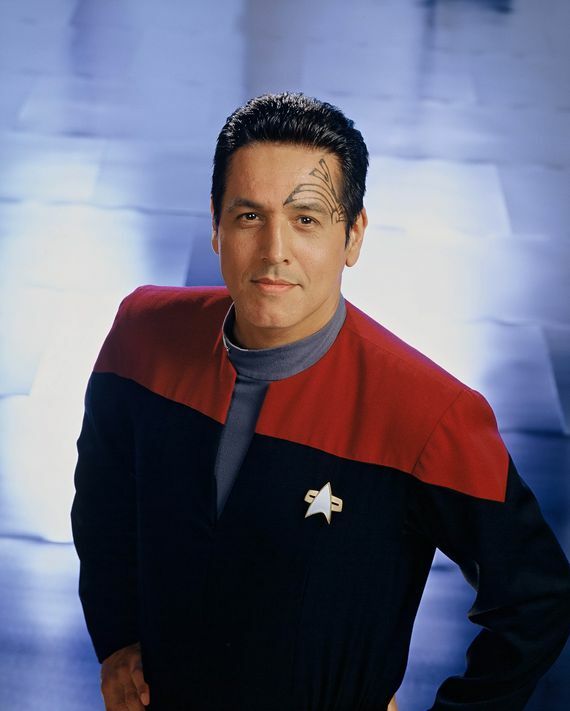 Robert Beltran, the son of Mexican immigrants, is best-known for his role as Commander Chakotay, first officer of the starship Voyager. I can hear the theme song now! The science fiction television show Star Trek: Voyager aired from 1995 to 2001, and led to Beltran being nominated for a Bravo Award for Outstanding Television Series Actor in a Crossover Role. But that’s not his only claim to fame. Beltran (I can’t help thinking that would be a great name for a Star Trek character) has worked steadily in theater and film since his debut in 1979. With a slew of roles under his belt, he founded the East LA Classic Theater Group, and collaborated with amateur actors performing parts from Shakespeare. From Harvard Business School to prison, Skilling is the poster boy for bad business on Wall Street. Charges included conspiracy, securities fraud, false statements and insider trading. Skilling was brought up between New Jersey and Aurora, Illinois, where he worked at a television station when he was 16. (His brother would become chief meteorologist at WGN-TV). Skilling got a full ride to Southern Methodist University in Dallas, where he majored in business. He worked at a bank after graduation, then continued his education at Harvard. Skilling had a really bright business idea at Enron, which had initiated Enron Online, an internet-based trading system used by almost every U.S. energy company. By using “mark to market” accounting, future profits were accounted for by estimating their present value rather than their cost basis. Skilling began pushing the idea that by promoting their aggressive investment strategy, assets were unnecessary. 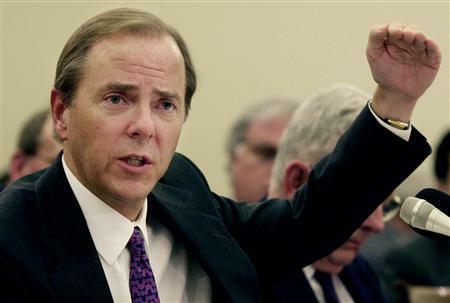 Enron grew, and CEO Skilling made $132 million in a single year. Skilling currently resides in a halfway house, where he is learning to reintegrate into the modern world.